The Hoop Project will return to Gallipolis City Park this weekend. The Meigs Heritage Festival is scheduled to be held that the Chester Courthouse and Commons on Saturday. Ohio Department Sons of Union Veterans of the Civil War will be hosting the Buffington Island Battlefield Memorial Service, July 21, at 11 a.m. at the Buffington Island Battlefield Park to remember the 155th anniversary of what has been called the only major American Civil War battle in Ohio’s history. The Main Street Car Show will be returning to Point Pleasant this year, cars will be lined up from the Riverfront Park up to Viand Street. Editor’s Note: Since the publication of this article, the Meigs Heritage Festival has been cancelled due to forecasted weather conditions. OHIO VALLEY — Beginning with music on the riverfront on Friday evening, several events are planned for Meigs County and the surrounding areas this weekend. Rhythm on the River will take place on the Pomeroy Riverfront Amphitheater on Friday evening with Ohio native and Arizona resident Bill Dutcher slated to perform at 8 p.m.
Dutcher’s music must be heard to believe, as he becomes a magician of sorts with his hands and six strings. When Dutcher picks up an acoustic guitar, the music that fills the room cannot be branded with a simple sentence. When he walks on stage, all rules are thrown out the window and an improvisational circus explodes before your eyes. Every part of the guitar is fair game as he makes it growl, whine and sing to the pounding percussive pops, slaps and pings that emanate from the guitar. This will be the final Rhythm on the River concert before the Big Bend Blues Bash July 27 and 28. Also on Friday evening, in Point Pleasant, will be a performance by Matt Metheney as part of the Mayor’s Night Out concert series. Metheney will be playing country music for the evening. From Rutland, Ohio, Metheney has been writing and playing songs for over two years with three songs currently on radio and on iTunes. His most listened to track is “Drunk on Memories” which he wrote for three friends he lost. He’s performed in Nashville, Tenn., at The Adelphia Music Hall in Marietta, Ohio and The Colony Club in Gallipolis, Ohio. He’s playing several fairs and venues this summer. 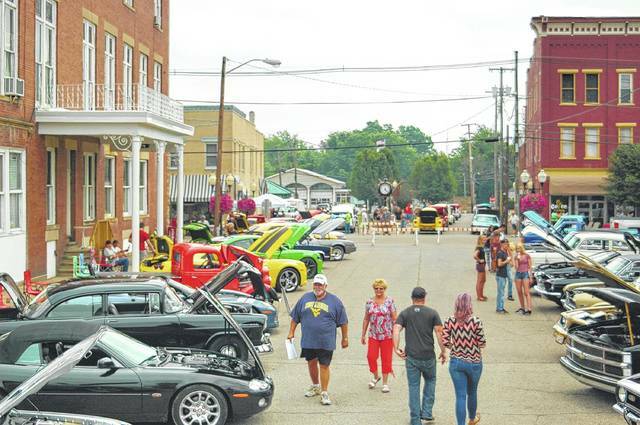 Mayor’s Night Out is held at the River Park Amphitheater with each show beginning at 8 p.m.
On Saturday, the Main Street Car Show will be held along Main Street in Point Pleasant. Hot rods and classic cars will line the streets from Riverfront Park up to Viand Street. People will be able to view models such as a modern Jaguar XKR, a 1930’s Ford Pickup, to modern muscle cars and nearly everything in between. Also on Saturday, two events in Meigs County will focus on the heritage and history of the area. The Meigs Heritage Festival is scheduled to be held at the Chester Courthouse and Commons from 9 a.m. to 6 p.m. with something for everyone. 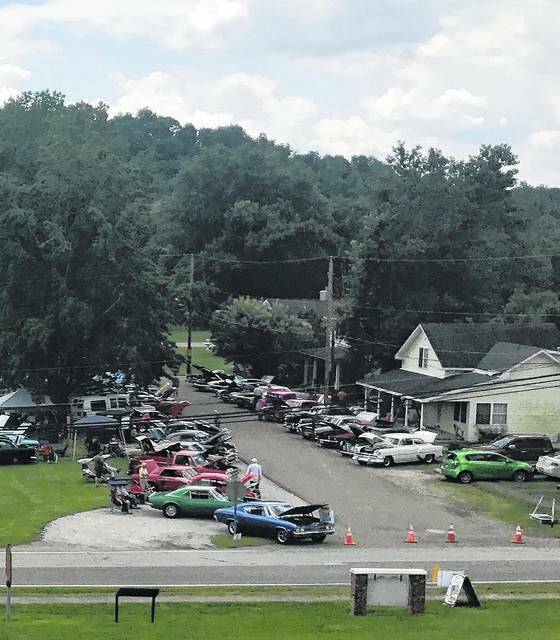 For car enthusiasts, a Vintage Car Show features decades of automobiles. Registration is from 9 a.m.-noon and winners announced and trophies awarded at 2:30 p.m. The Festival is known for homemade food, especially chicken and noodles, pie, and homemade ice cream churned by the Chester Fire Department. This year’s addition to the menu is beans and cornbread cooked over an open fire. Ohio’s Best Pie contest and auction is a crowd favorite. Registration is from 9 to 11 a.m. and open to anyone who would like to enter. Be sure to be on hand when celebrity judges sample some of the best pies in the county at 11:30 a.m., and stay for the auction at 2 p.m.
Artisans and local clubs will be featured on the green from 9 a.m. to 6 p.m., along with demonstrations for all ages throughout the day. This years exhibitors include Daughters of the American Revolution, Meigs County Coin Club, Meigs County Historical Society, and Wildwood Garden Club. The award for Meigs Finest is given to the oldest gentleman and lady in attendance that registers their name and age by 2:30 p.m. and is present for the award at 3 p.m.
History buffs will enjoy touring Ohio’s oldest standing courthouse and having their photograph taken. The Courthouse will be open from 10 a.m. to 2 p.m., and local photographer Gary Coleman can snap a photo from noon to 2 p.m.
For more information visit their Facebook page: Chester Shade Historical Association; email CHSAHeritageFestival@gmail.com; or phone 740-985-9822. If it is Civil War history you are interested in, venture a little further to Portland for the Buffington Island Battlefield Memorial Service at 11 a.m. The Ohio History Connection and the Sons of Union Veterans of the Civil War remember the fallen soldiers from the Battle of Buffington Island. 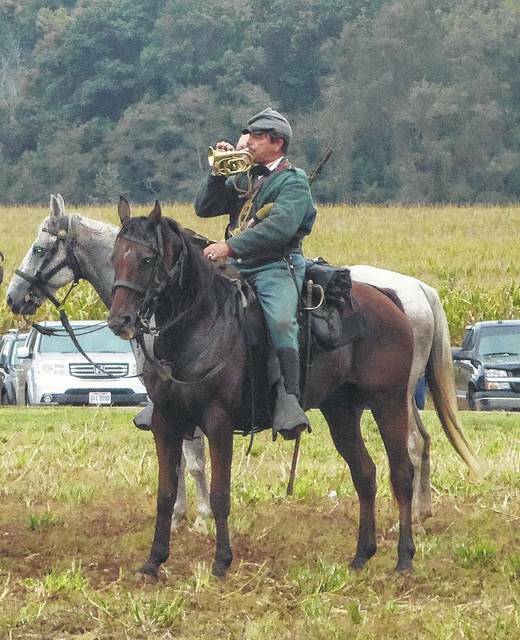 This annual event commemorates the site of the only significant Civil War battle fought in Ohio. Battle of Buffington Island Memorial Service will take place at 11 a.m. at the Buffington Island Battlefield Memorial Park, 56890 State Route 124, Portland. Immediately following the service, lunch will be available at the Portland Community Center. Music will be provided by award-winning singer-songwriter and educator Steve Free. William E. Donegan, member of the Federal Generals Officer Corps, will be the featured speaker portraying Union General William Starks Rosecrans. On the other end of Meigs County is where you can find homemade ice cream. The Salem Twp. Volunteer Fire Department will hold its 40th annual Ice Cream Social on Saturday, July 21. Serving will be from 11 a.m. to 3 p.m. at the fire department located on State Route 124 in Salem Center. The menu will include 11 flavors of homemade ice cream, pulled pork sandwiches, sloppy joes, hot dogs, pies and more. To celebrate the 40th year, one person will win an ice cream maker. In Gallia County will be the annual Hoop Project in Gallipolis City Park. 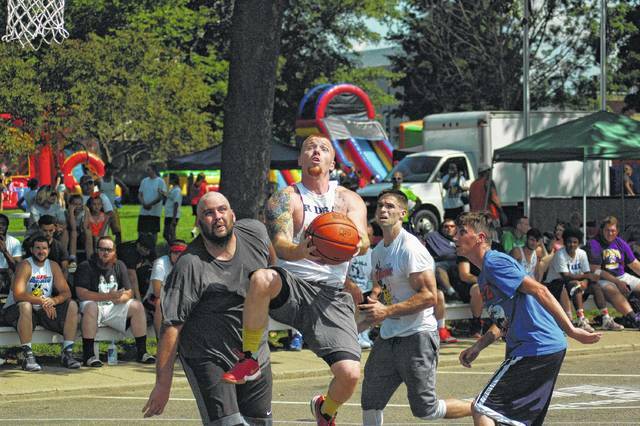 Gallia’s three-on-three basketball tournament, The Hoop Project, will be returning July 21 and 22 with age brackets for children and on into adulthood. The Hoop Project has traditionally been a double-elimination style tournament bracket. Referees will be available for every game and professional medical staff will be on hand. The event has been recognized in recent years as being the largest operating event held in Gallipolis City Park. Players are guaranteed three games minimum on 50 by 50-foot courts. Games will have two 15-minute halves with five minutes of half-time. Up to six players are allowed per team. The Men’s “A” Division will have a $2,500 cash prize with its winner. Referees are guaranteed for every game. Brackets will be available for individuals 9-10, 11-12, 13-14, 15-16, 17-18, 19-35, 36 and up. The Men’s “A” Division is its own category as well. The event was originally organized by the Downtown Revitalization Project with a goal to generate revenue for local businesses and provide entertainment to attract visitors to Gallipolis. It has featured a variety of attractions in the past. In the first year, the event had 65 teams sign up, then 75, then 115 and 2016 had 155. Event organizer Robbie Pugh said the event has grown every year and upcoming years made need to reconsider logistical needs given the size of the event. Last year, the event featured around 180 teams with six players each. This will be the second year prize money is offered for the men’s “A” division. The event will also utilize a mobile app called Tourney Machine to help organize brackets, schedules and game notifications for the day of the event. Cash prizes, by tournament rules, can not be given to high school or college athletes. Players will be sorted into pools of four teams. The top three teams from each pool will continue on to perform for their respective division titles on Sunday. Three games are guaranteed to every team. The second day of play will feature a single elimination tournament to determine winners. Through its history, the tournament has attracted teams from across Ohio, West Virginia, Kentucky and parts of North Carolina. Pugh has said players from Nashville and Pennsylvania have also expressed interest this year. https://www.mydailysentinel.com/wp-content/uploads/sites/14/2018/07/web1_DSC_02782017717143150427_ne2018719162127732-2.jpgThe Hoop Project will return to Gallipolis City Park this weekend. https://www.mydailysentinel.com/wp-content/uploads/sites/14/2018/07/web1_7.19-Heritage-3_ne2018719162131534-2.jpgThe Meigs Heritage Festival is scheduled to be held that the Chester Courthouse and Commons on Saturday. https://www.mydailysentinel.com/wp-content/uploads/sites/14/2018/07/web1_9.20-Raid-9_ne2018719162846345-2.jpgOhio Department Sons of Union Veterans of the Civil War will be hosting the Buffington Island Battlefield Memorial Service, July 21, at 11 a.m. at the Buffington Island Battlefield Park to remember the 155th anniversary of what has been called the only major American Civil War battle in Ohio’s history. https://www.mydailysentinel.com/wp-content/uploads/sites/14/2018/07/web1_CARS-1.jpgThe Main Street Car Show will be returning to Point Pleasant this year, cars will be lined up from the Riverfront Park up to Viand Street.